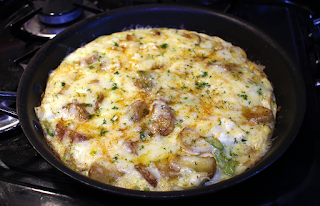 It was tea time in the van and we had some leeks, potatoes, eggs and cheese so what else to make but a frittata. We used new potatoes halved then cut into 1cm slices but you can use any spud you like, in fact you can use any vegetable you might have left over in the fridge to make this simple satisfying dish. 10x New potatoes, halved and sliced. Fresh herbs of choice to top, I used dill because it is all I had. 1. 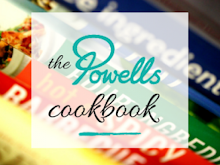 Cook the potatoes in a pan of boiling water for about 5 minutes. Drain and allow to dry off. 2. In a frying pan cook the potatoes in butter until just about turning golden. Add the leeks and garlic and cook for another 5 minutes. 3. Beat the eggs together with some salt and pepper then add to the pan and cook on a low heat for about 5 minutes. 4. Top with grated cheese then pop under a medium grill until the cheese is bubbling. 5. Dust with some fresh herbs, allow to cool for 5 minutes then serve.